Rocky Ridge Guide Service is in Lovell Maine, which is in western Maine, nestled in the foothills of the White Mountains. I am a Reg. Master Maine Guide & I have my Captains License. I have been guiding fishing & hunting trips for 30 years, Prior to that I was a commercial fisherman. I have been fishing & hunting all my life and have always enjoyed the outdoors. 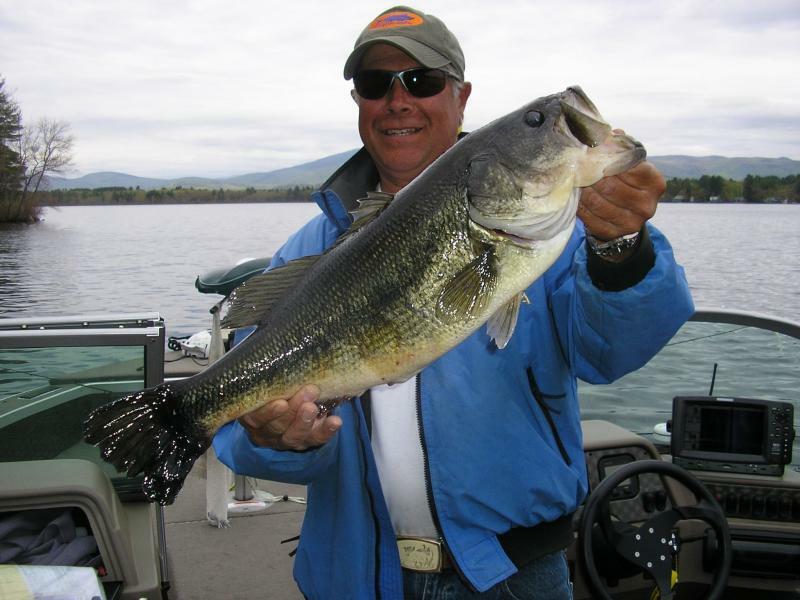 I fish many lakes & ponds, Sebago Lake, Kezar Lake & Moose Pond for smallmouth and largemouth bass, salmon & Lake trout in the Sebago Lakes region, Greater Bridgton Lakes Region and thru out southwestern, including Kezar Lake, Moose pond & Sebago Lake. For stripers & blue fish I fish out of Pine point in Scarborough Maine off of Old Orchard Beach. I guide hunting trips in the foothills of the White Mountains for spring turkey, woodcock & grouse and deer. © 2019 Rocky Ridge Guide Service. All rights reserved. Website designed, developed, and hosted by sephone.